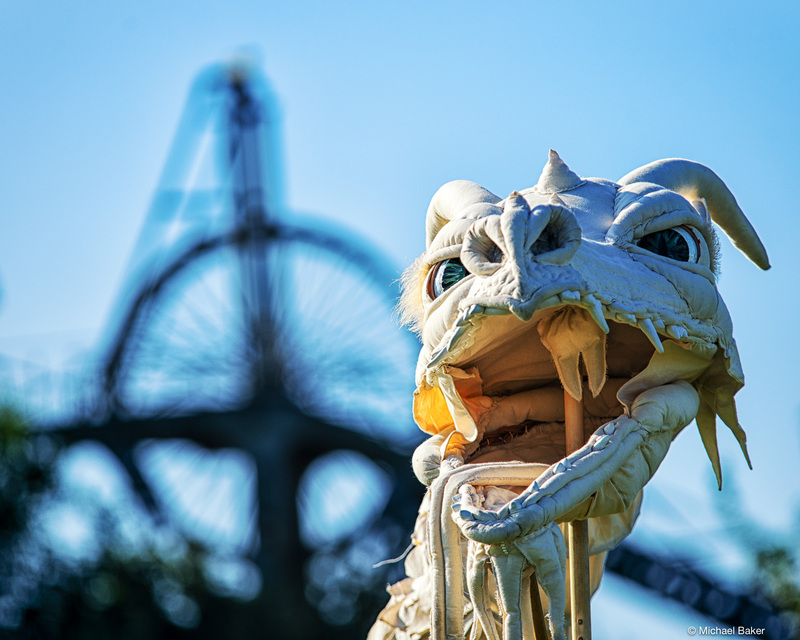 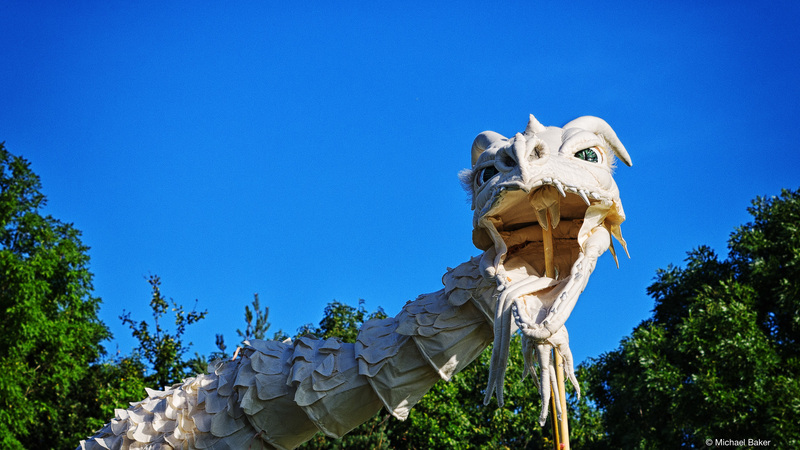 Many people in the Northeast grow up hearing the story of the Lambton Worm, but this is just one of a number of local legends featuring worms and dragons. 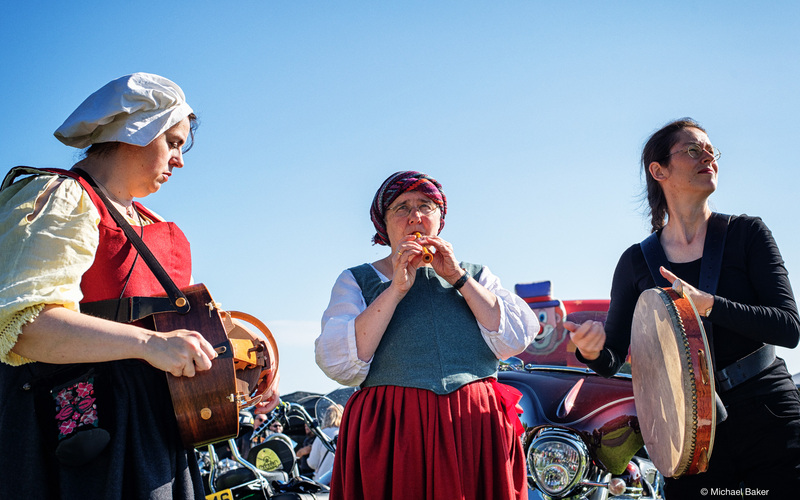 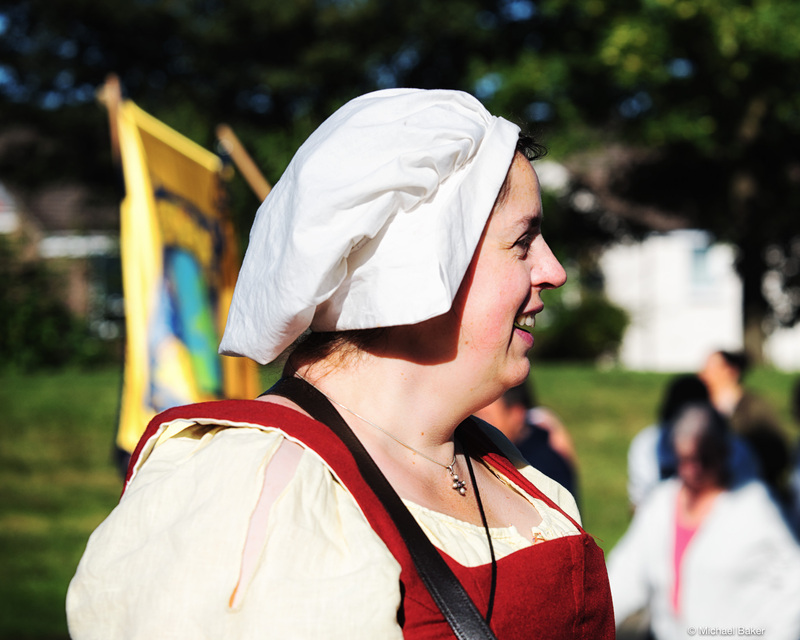 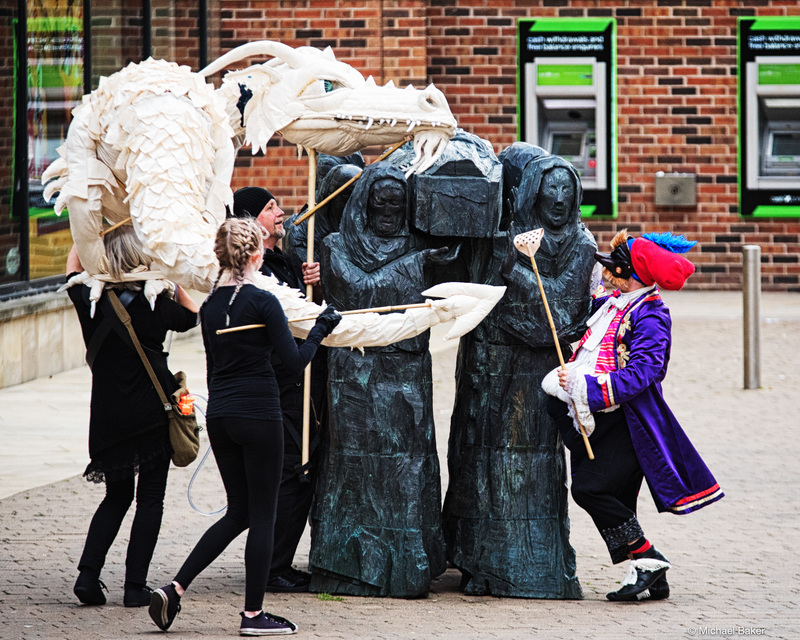 One particular example discovered by Records of Early English Drama North East comes from 1569, when a “certain Italian” came to Durham, putting on show “a very greate, strange & monstrous serpent in length sixteene feete… greater than a great horse”. 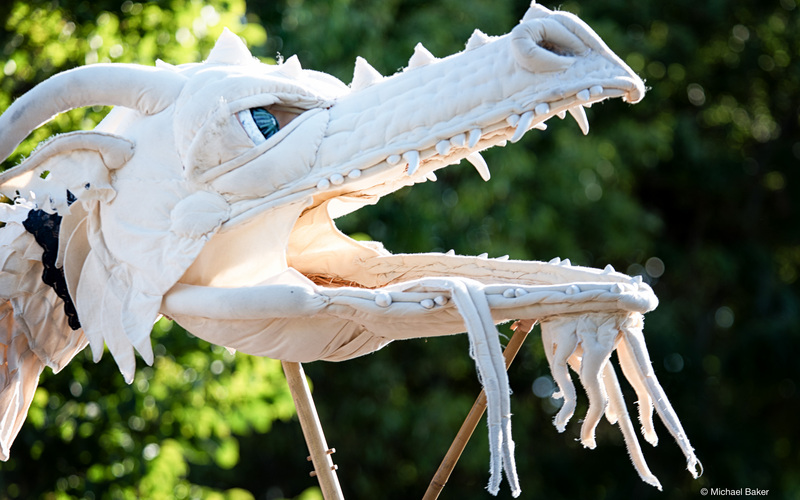 This monster allegedly came from Ethiopia, where it had “devoured more than 1000 persons and also destroyed a whole countrey”. 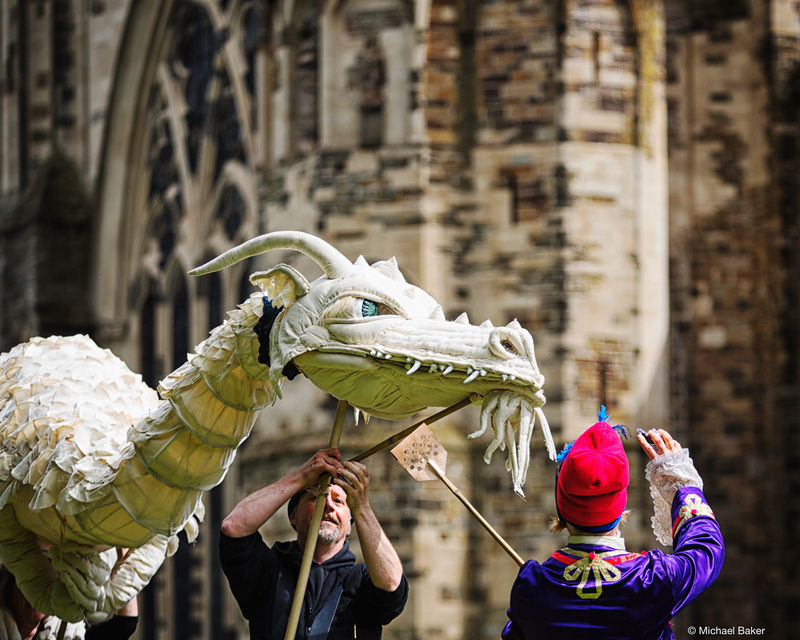 However, it’s most likely that this claim was an exaggeration designed to draw an audience for what was essentially a medieval stage dragon. 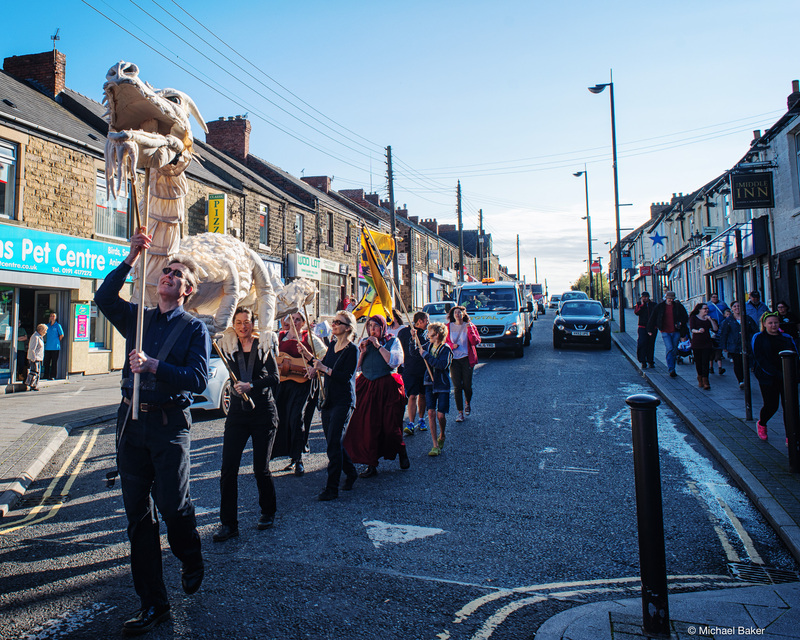 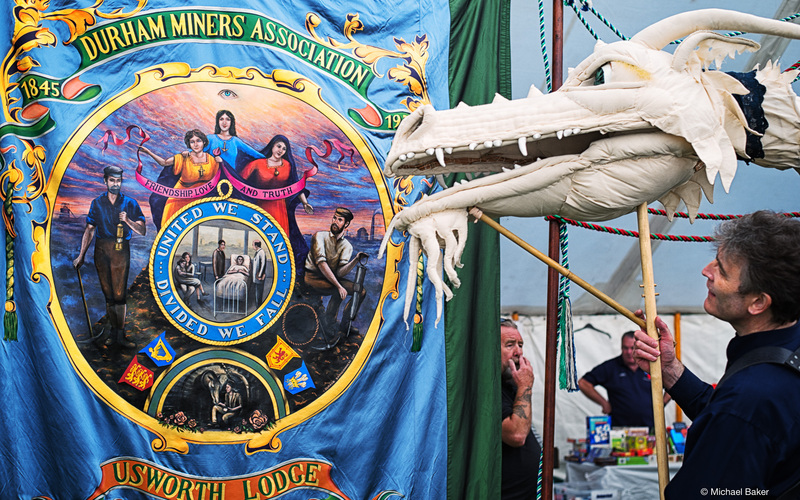 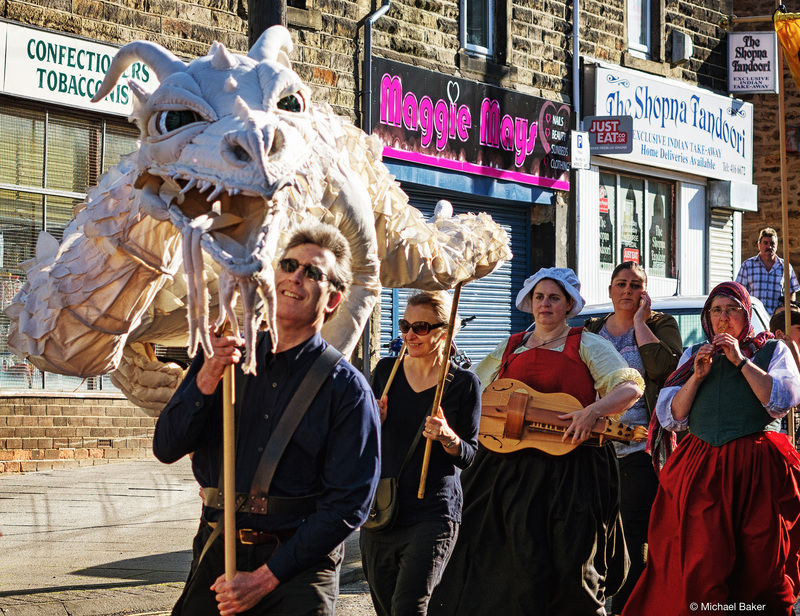 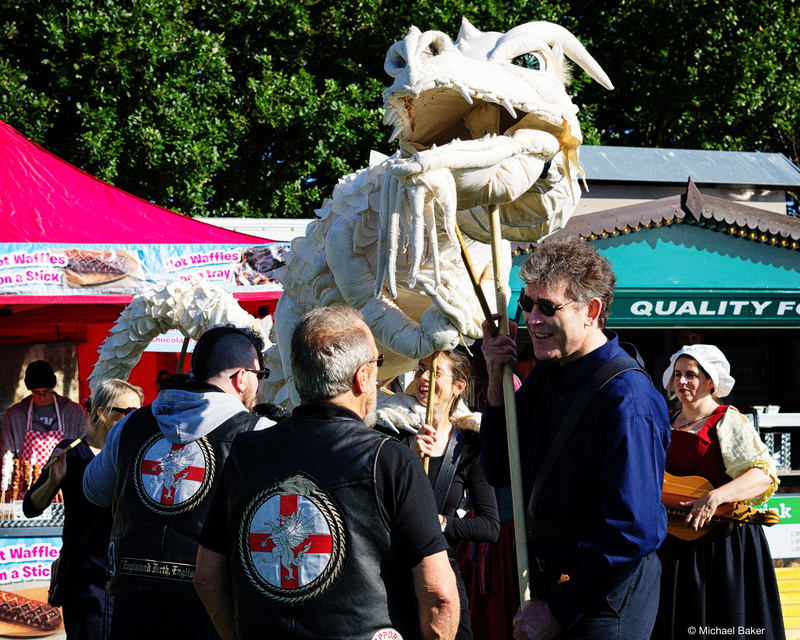 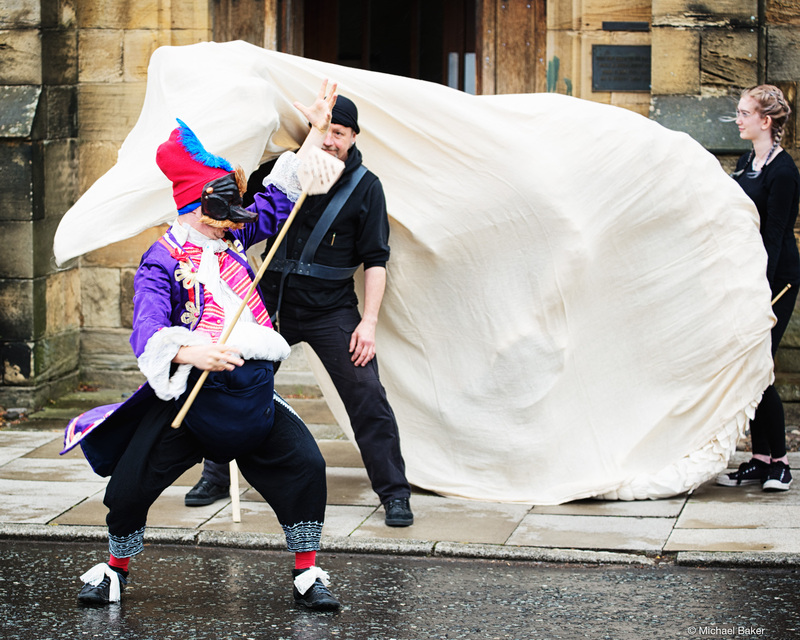 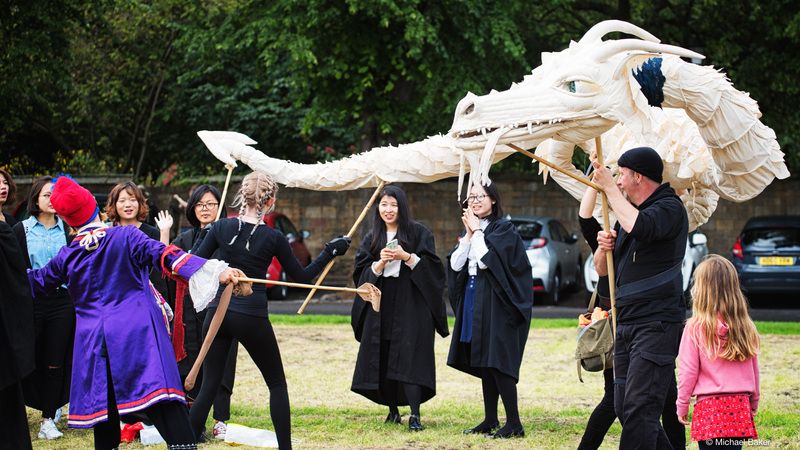 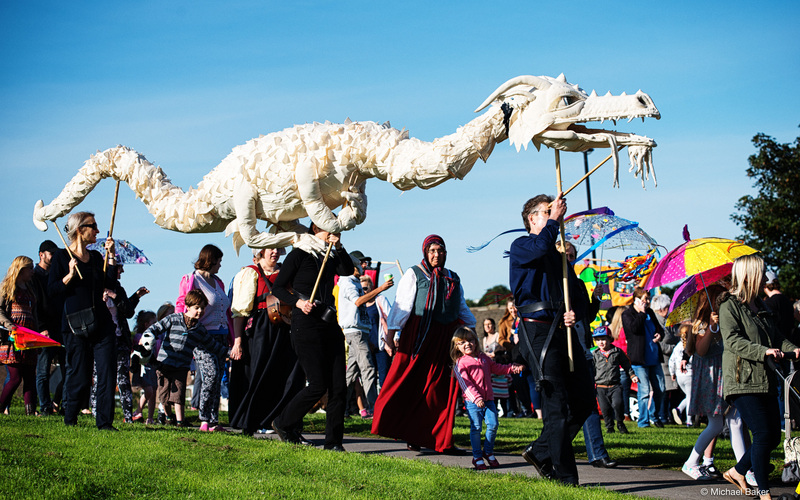 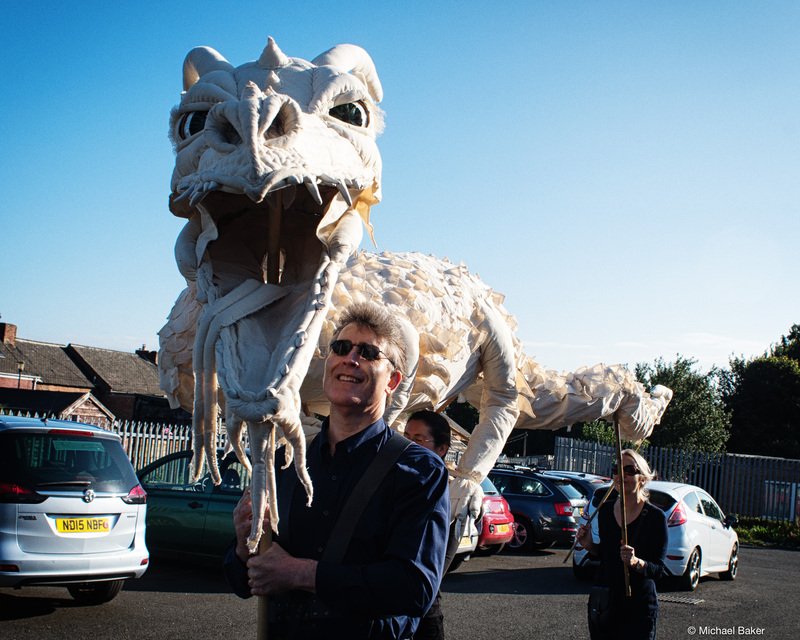 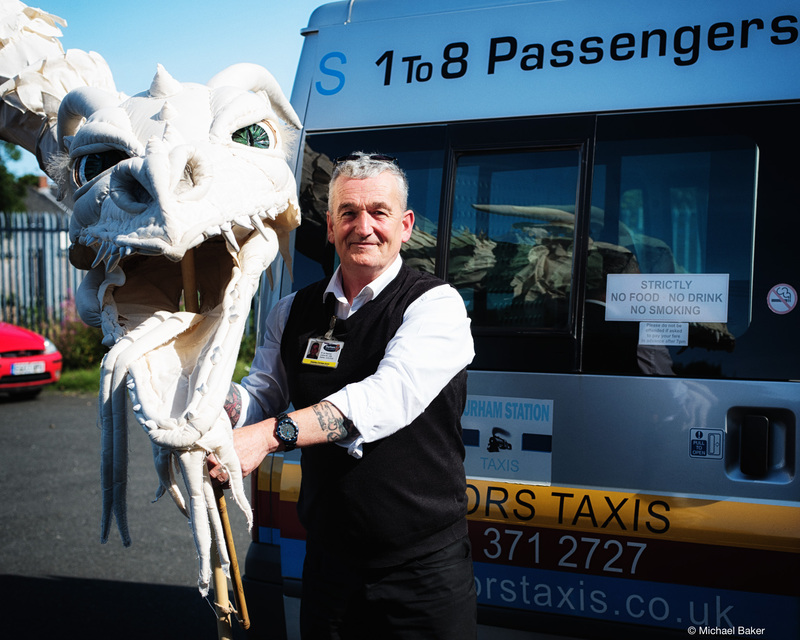 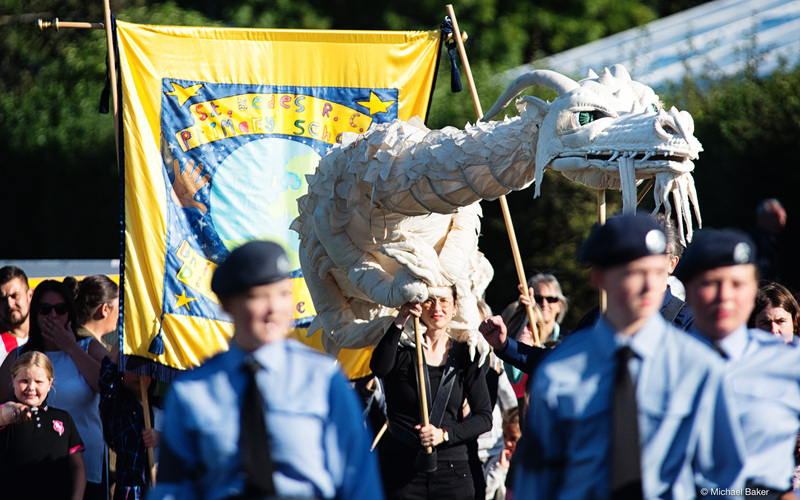 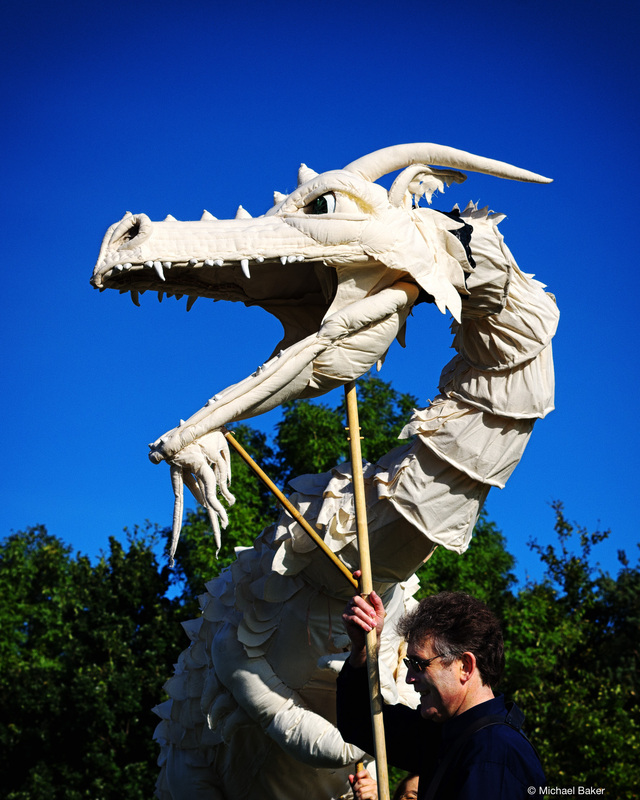 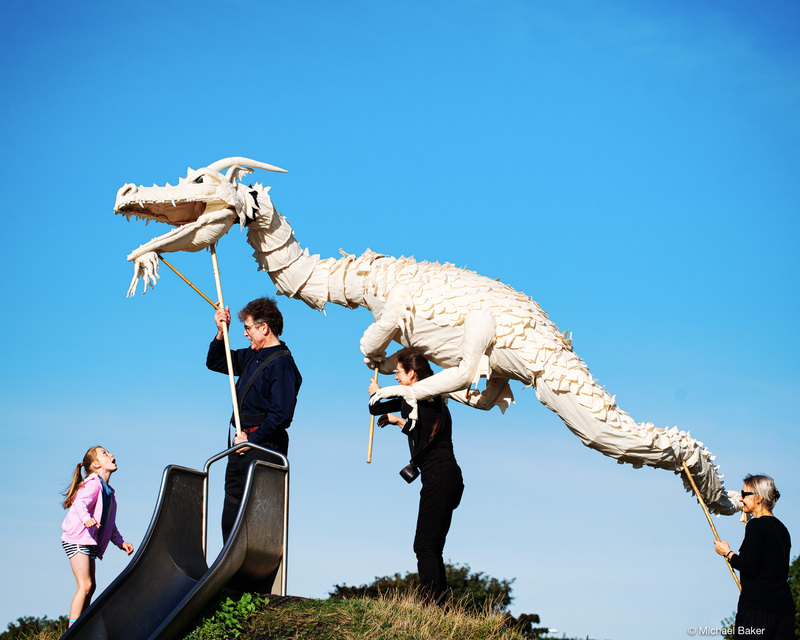 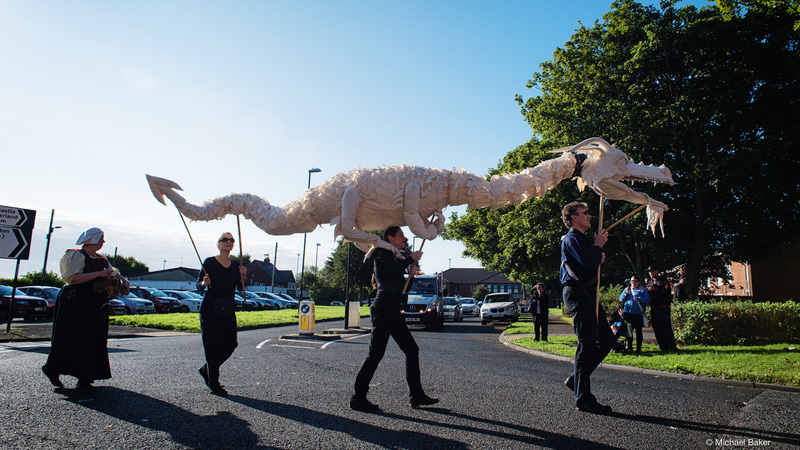 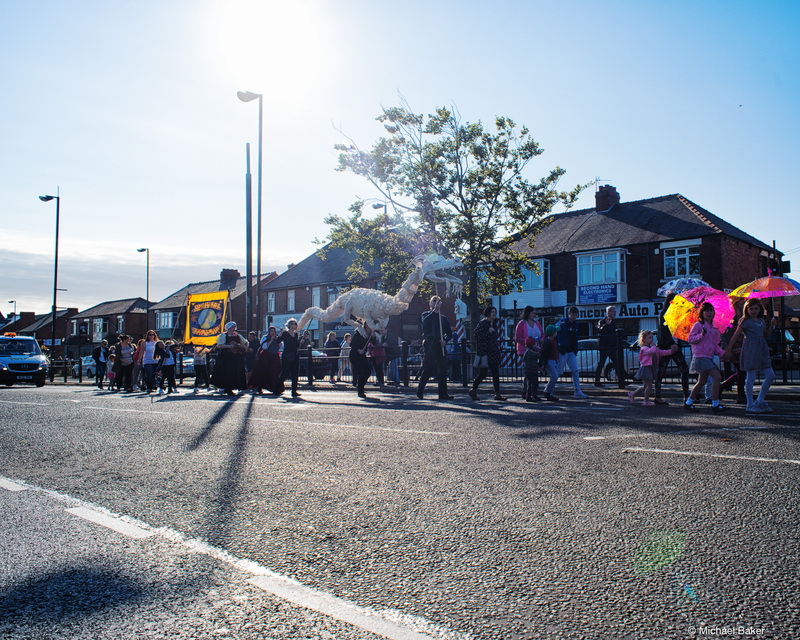 To commemorate this spectacle, as part of the Theatrum Mundi 2016 show we called on Phenix Studios Hexham and Miscreations Theatre to bring the Durham dragon back to life. 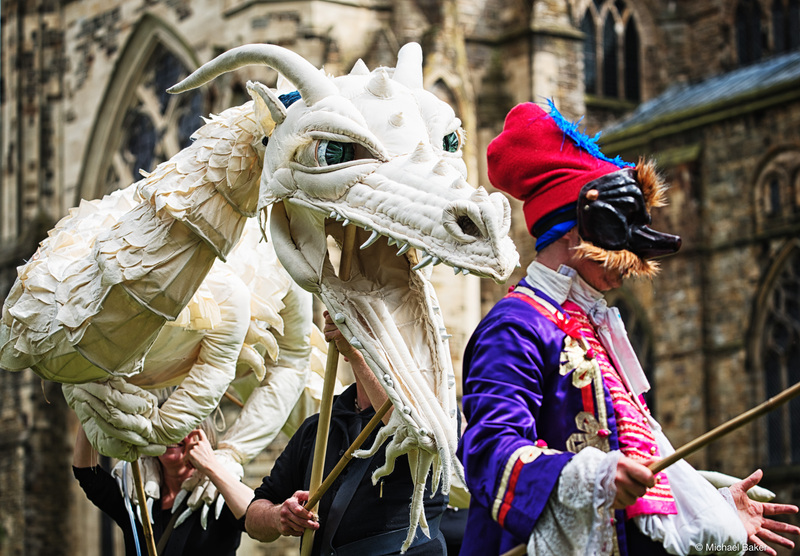 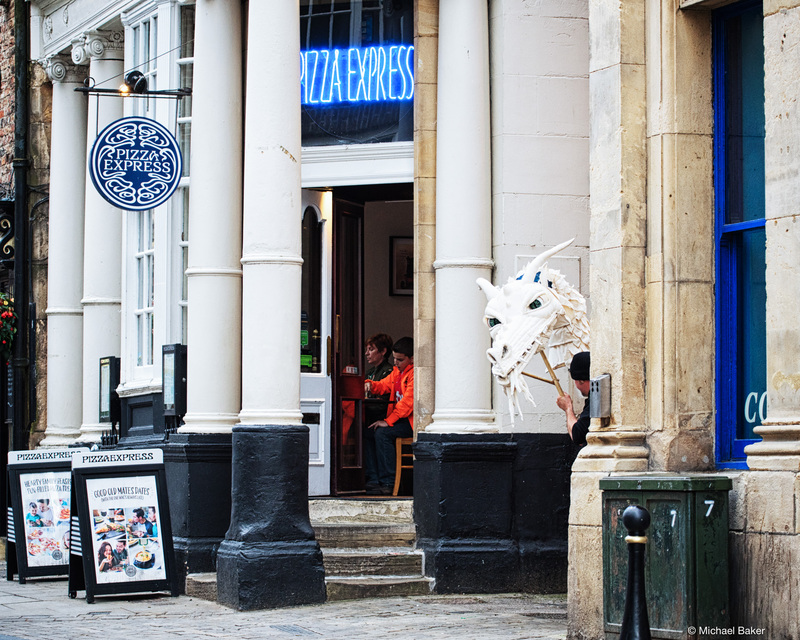 As you can see, the dragon not only roamed Durham’s World Heritage Site – an appropriate setting for a 400-year-old beast – it also got into mischief in some of Durham’s more modern establishments. 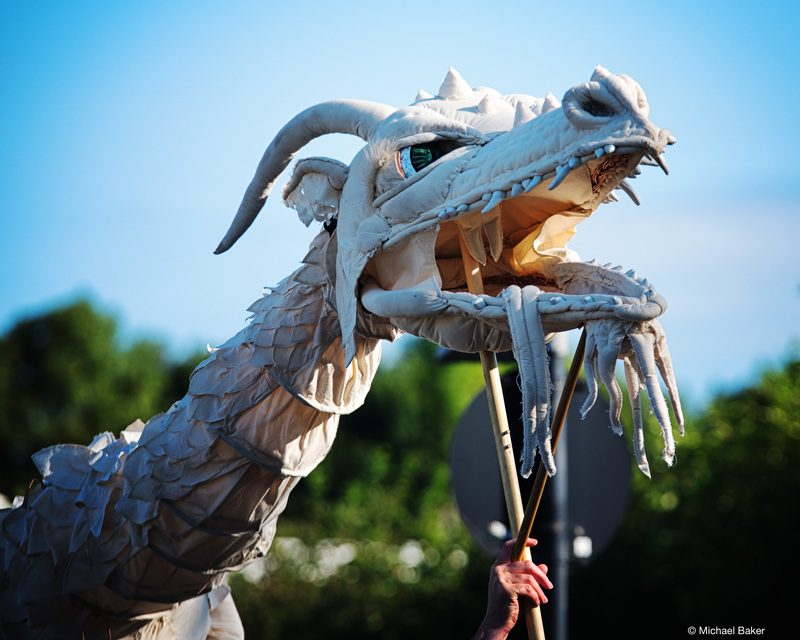 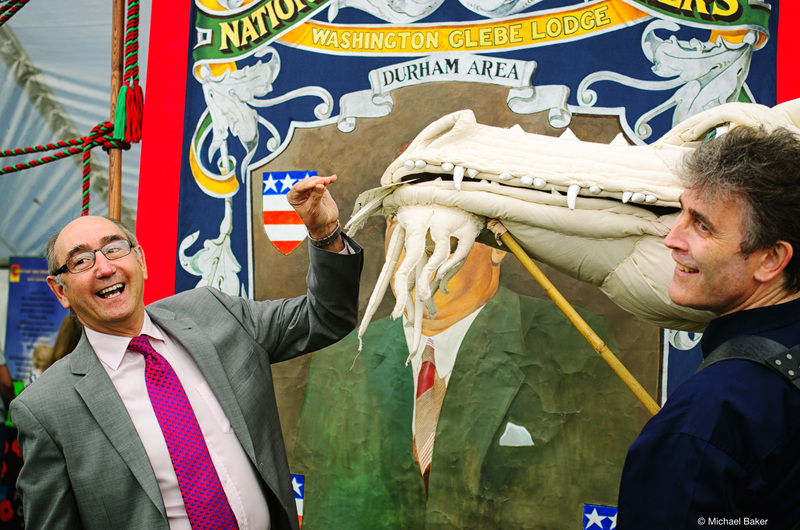 Subsequently, the dragon flew off to Washington Carnival, where it showed off its teeth in a parade. 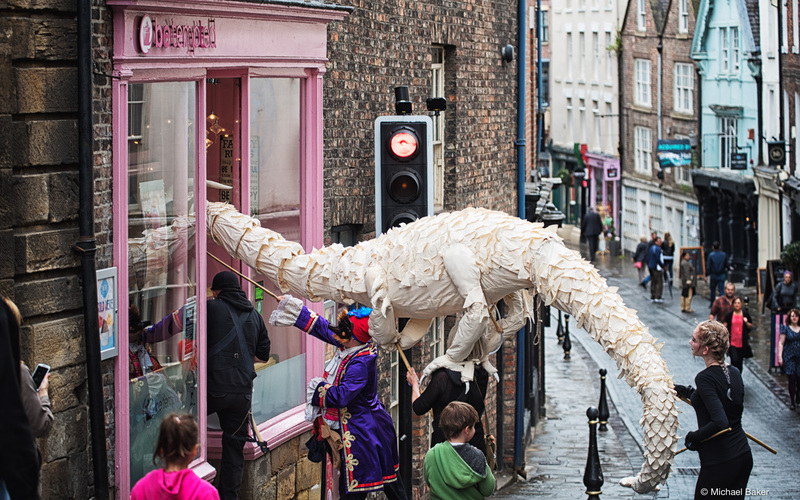 Escaping from Durham’s World Heritage site. 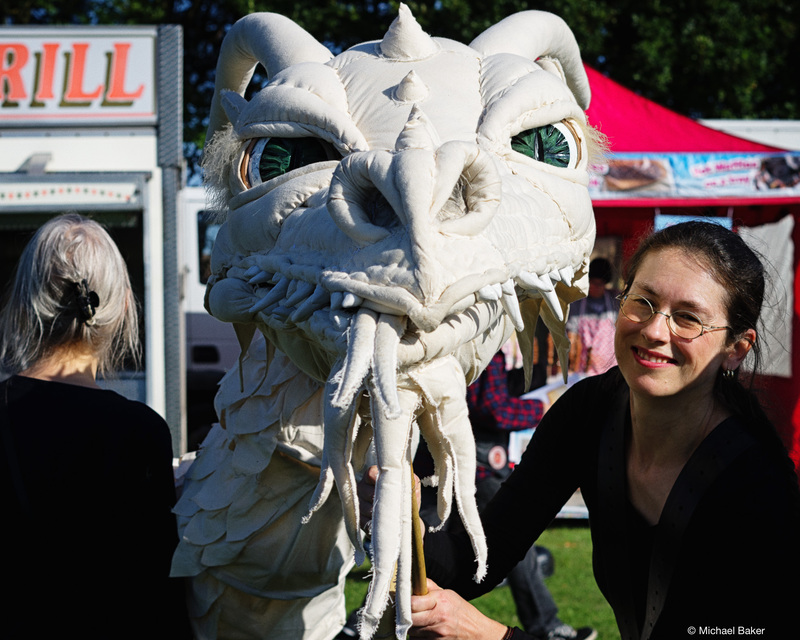 The dragon enjoys a cocktail from Ebony Champagne Bar. 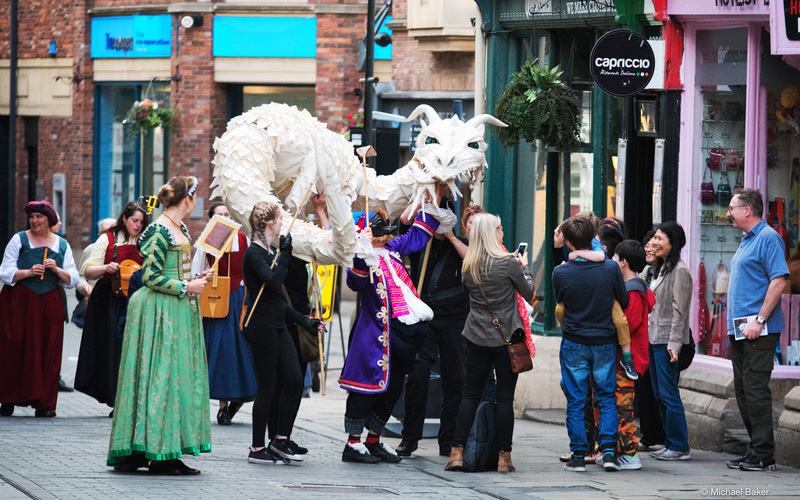 Our dragon had been a good boy all year, so on Halloween we decided to let him out for a bite to eat and a drink in some of the local pubs.